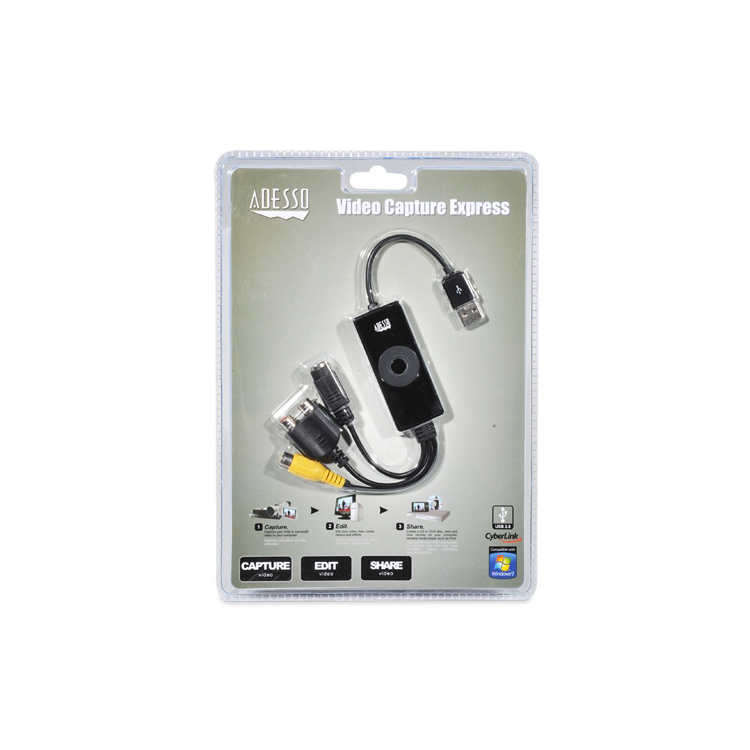 You cannot add "AV-200 - Video Capture Express" to the cart because the product is out of stock. 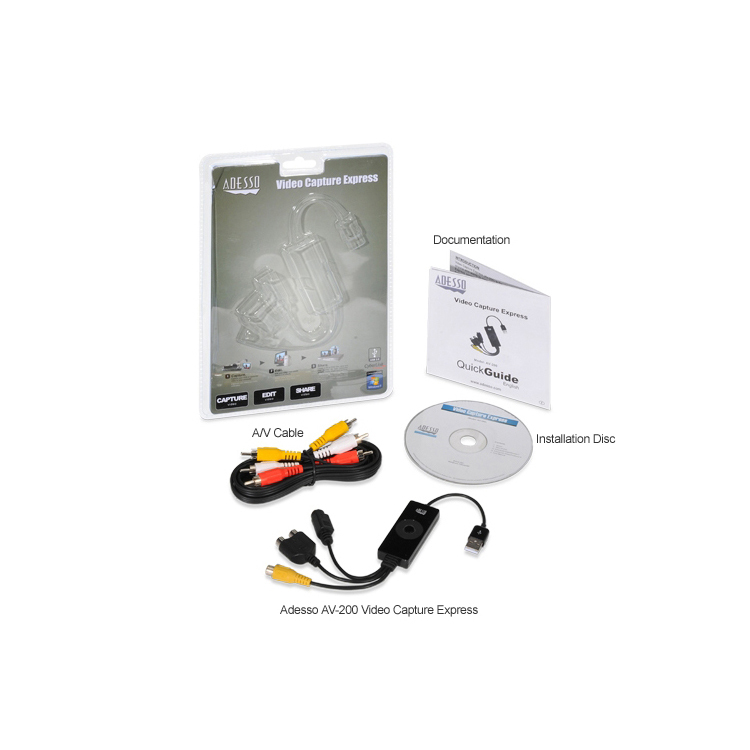 The Adesso Video Capture Express is ideal for creating DVDs from anolog videos. 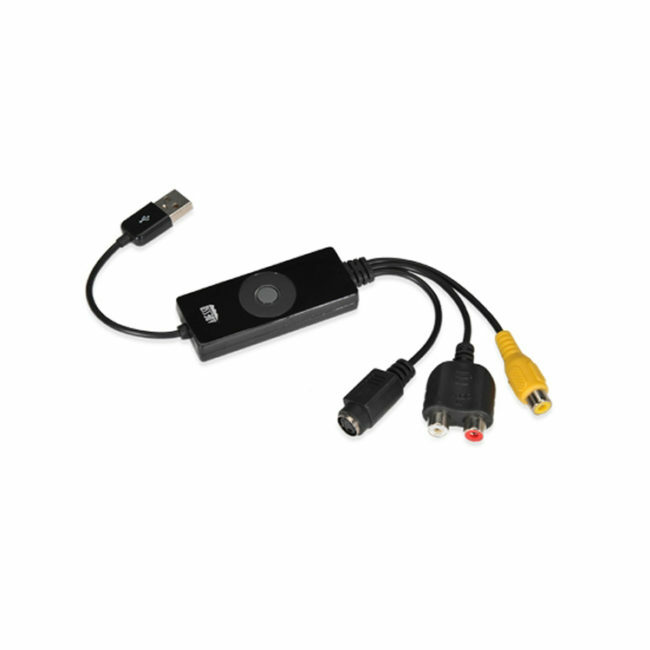 The Adesso Video Capture Express connects your analog device, player (VCR), or camcorder directly to your computer’s USB 2.0 port, making video capturing easy! 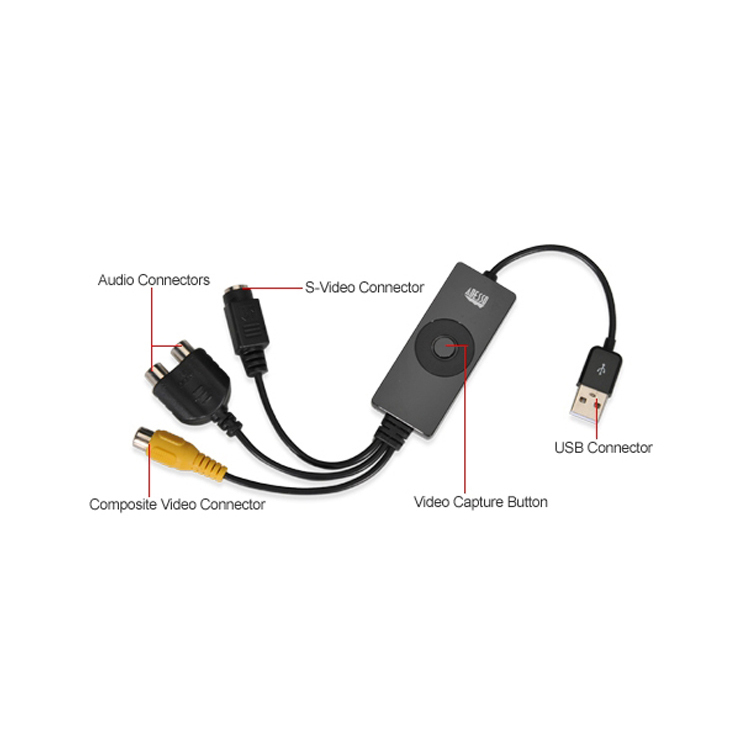 With a few simple steps and the included bundled software you can easily reformat old VHS or camcorder recordings to digital format, so you can share your old memories over the Internet and archive on your computer. 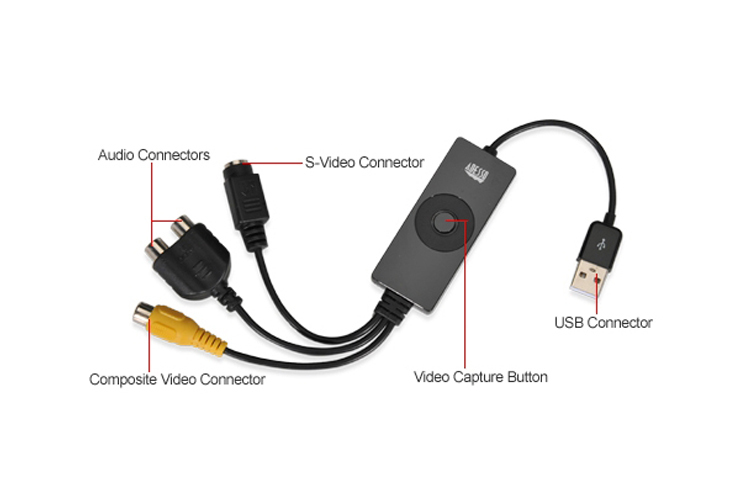 Start converting and sharing your memories now, with the Adesso Video Capture Express! 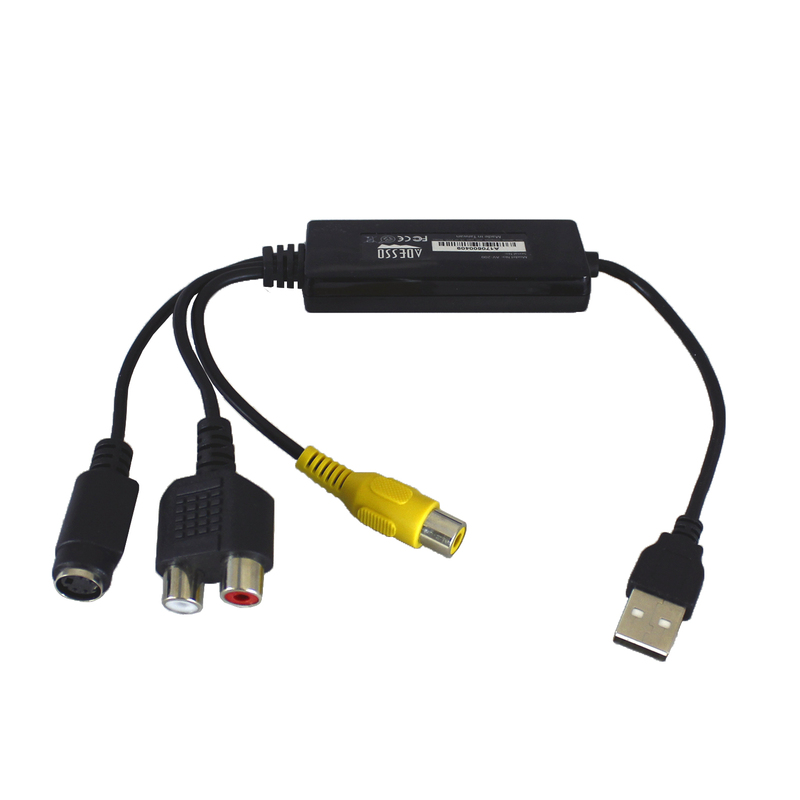 USB 2.0 Video Capture Express connects your PC to video devices such as a VCR, DVD, or camcorder using either RCA connectors or a S-Video connector. Edit, organize, and highlight videos or still images on storyboard in MPEG format. 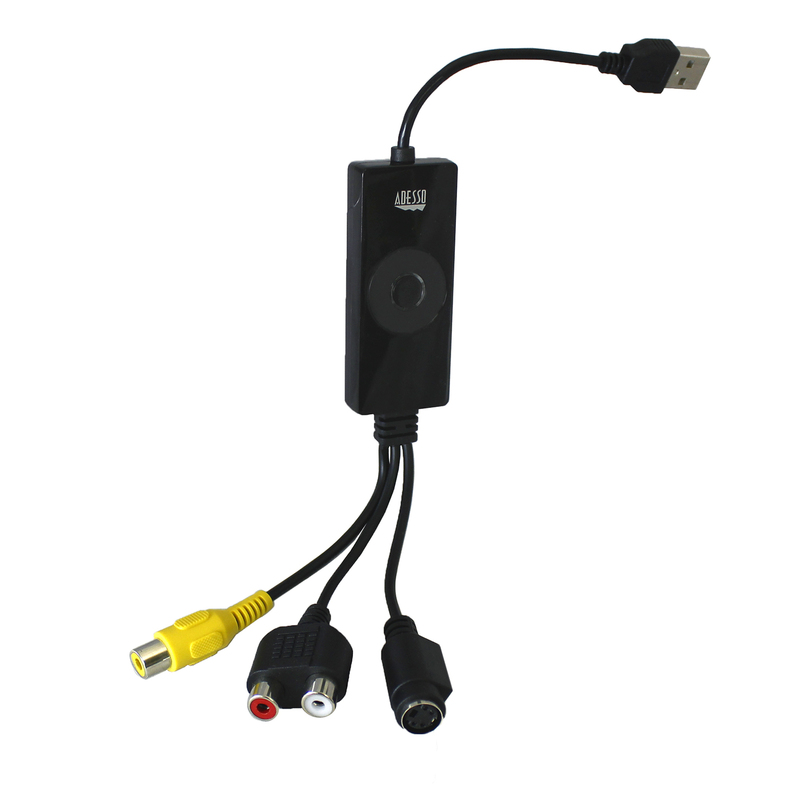 Directly transfer videos recordings to a DVD burner.